My team is working on a Silverlight project for the last three months. 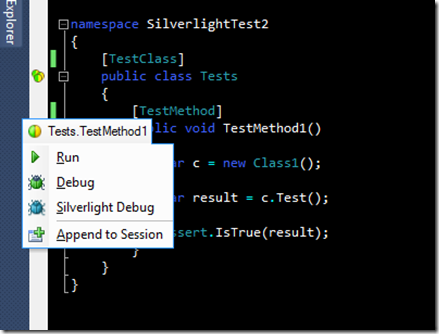 One of the first issues we encountered was unit testing for the Silverlight libraries. Unfortunately, this issue is not trivial. Current dev tools, including the VSTS do not support running tests in the traditional way. 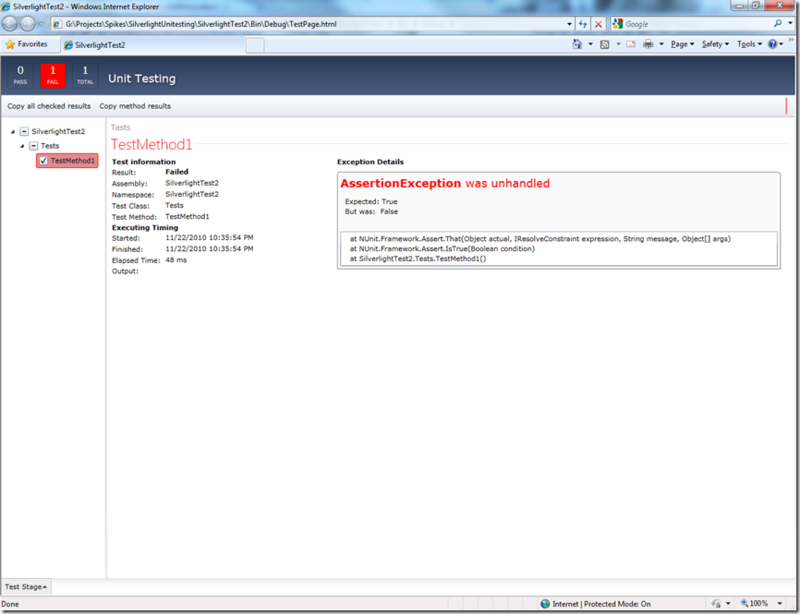 In order for a Silverlight test to run, it needed to be hosted inside a web page. This is quite problematic when trying to practice TDD and even running the tests on your CI server. 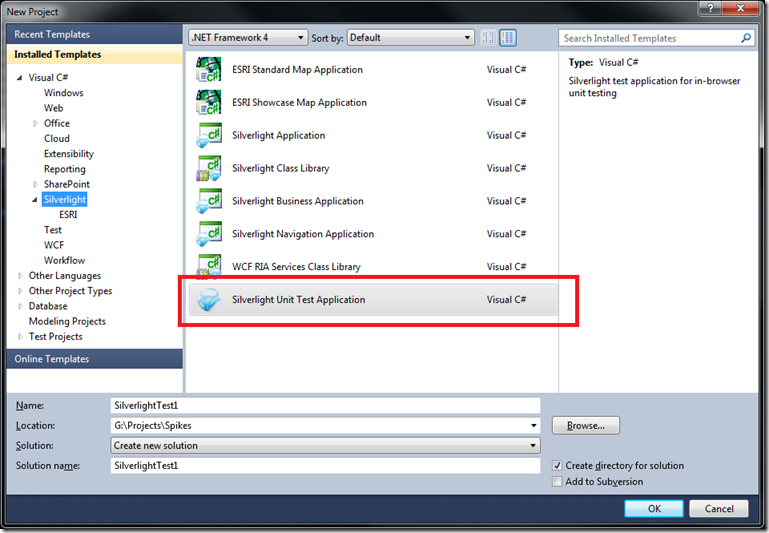 As I mentioned before, Silverlight unit tests can only be run under a host web site, so after creating the project, Visual Studio will ask you to create a web site to host the tests. This is actually the creation of the page which runs the tests and displays the results. Although this is very nice implementation, it doesn't helps us when we are trying to develop in TDD. In order to do that we would like a tool which runs the the inside VS. Tip: notice the prerequisites of the tool. In short, you need to add reference to System.Xml.Linq. This tool also allows you to TDD, using the –c option. This option will run the tests in the command line and listen to the build of the xap file of the test project. If the xap file will be rebuilt, then it will run the tests again. This is pretty useful and efficient when doing Tdd. After we dealt with CI, lets make our programming experience more familiar. What if we want to use NUnit? mocking? Well, Rhino.Mocks has a version compiled for Silverlight (from 3.5 version). Just reference the dll and mock away. 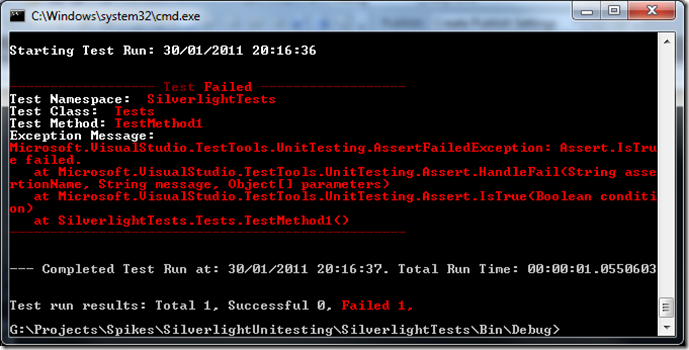 That's about all I could find… Do you have more tips on doing testing in Silverlight?